The bosses of dozens of tutoring companies have been threatened with imprisonment after the government launched a clampdown on suspected illegal practices in the industry. 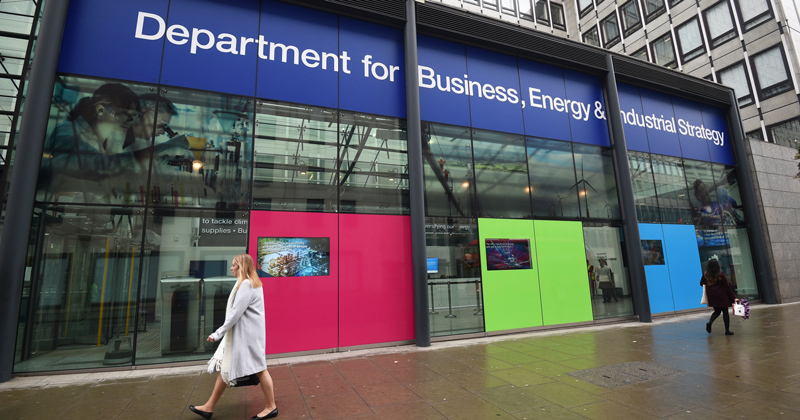 Schools Week understands the Employment Agency Service (EAS) inspectorate, an arm of the Department for Business, Energy and Industrial Strategy (BEIS), has written to as many as 50 tutoring company directors, warning them that they risk breaking the law if they don’t change the way they operate. The letters tell the directors they “could be fined or imprisoned for up to two years” if they fail to comply. The clampdown is understood to be part of a wider focus on the regulation of industries that use large numbers of self-employed workers, known as the “gig economy”. Some agencies have also been accused of failing to pay tutors. Experts have said that if companies collapse, schools could face having to put tutors on their own books. Under the Employment Agencies Act 1973 and Conduct of Employment Agencies and Employment Businesses Regulations 2003, businesses deemed to be employment agencies are not allowed to receive fees from clients on behalf of workers. The EAS claims tutoring companies are employment agencies because they “provide information to both parties for work-finding”. But several companies disputed the government’s claim that employment agency law applied to them, and vowed to fight plans to regulate them in that way. “I don’t think many of us are against prudential, sensible, well-considered regulation that solves an identified problem,” Dr Leo Evans, a director of The Profs, told Schools Week. His organisation markets itself as a “collective” of tutors from the higher education sector, and does work for the Department for Education. Most agencies charge a per-session fee to parents and schools and pass it on to tutors, minus a commission. Hourly rates for tutors found online range from £15 to £75, depending on the subject and level of education. If they were regulated by the EAS, tutoring companies would be forced to either employ tutors full-time or pass responsibility for their employment to families or schools. Evans accused the government of being “heavy-handed”, and acting “without concern or consideration of the effect it would have and the damage it would do. “Tutors teach, fine, but what the agencies do are the functions of client acquisition, billing, payments, administration, complaints, payment failures. It’s a valuable service and is clearly viable. Another tutoring company boss, who did not want to be named for fear of reprisals from the government, said he was “rattled” and surprised by the legal letters. His lawyers had advised him the Employment Agencies Act did not apply to his firm. Hugh Viney, the director of Minerva Tutors, said EAS inspectors had seemed surprised to learn that most tutoring companies took payments on behalf of tutors. “What most struck me is the way they came in and said ‘it’s illegal and you can’t do it’,” he said. He said the action was “threatening to push further back into the dark ages an already dark industry in terms of the tax collected”, and warned that without companies like his, “there’s going to be much more of a black hole in terms of tutor taxes”. A government spokesperson said: “All agencies are required by law to abide by minimum standards of conduct, which safeguard both the work seeker and the hirer.